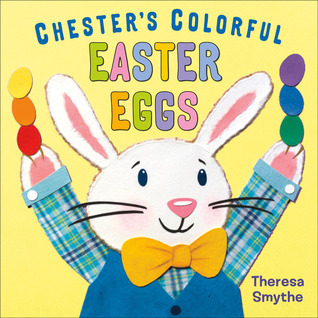 Chester the Easter Bunny decorates six Easter eggs. He chooses the colors of the rainbow: red, green, yellow, orange, purple, and blue. He then hides them for all his friends to find. On Easter, his friends discover his beautiful eggs and they all celebrate the special day together. With bright colors and sturdy and solid paper pages, this is a fun and perfect addition to any preschooler's Easter basket. My son is OBSESSED with Easter Egg hunts. I mean, we have them in our house every day obsessed. He thought it was fun to find all the eggs hidden on each of the pages and his mama appreciated the color reinforcement as well. During the day, Oh So Tiny Bunny is very, very small. But at night, he dreams of being big—as big as a dragon, or even a mountain! At first, that's fine, but then he feels lonely.There’s no one to share it with. Are there no other bunnies so big as him? This book- it seriously is adorable. The big sparkly eyes! I want my own Oh So Tiny Bunny. 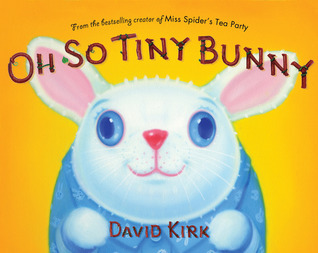 With a sweet story and absolutely adorable pictures, Oh So Tiny Bunny is a huge hit with my little man. We have read it so many times the book is literally falling apart. This will be one to keep and read long after Easter and Spring are over! Preschoolers can join the Construction Kitties for a busy day on the job. From sunup to sundown, these friendly felines work hard as they operate dump trucks, bulldozers, and backhoes. But it’s not all work—a lunch break of sardines and milk hits the spot. Then it’s back to the trucks to finish their grand construction. What will it be? A playground for kitties! 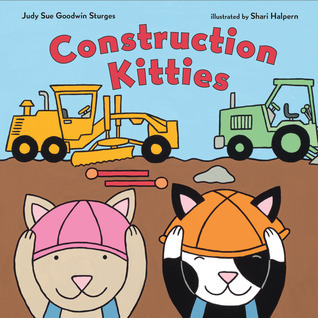 Construction Kitties has adorable pictures and a simple storyline with a surprise at the end. Fans of construction vehicles and building will enjoy this short and bright read. This would be ideal for preschools and Kindergartens when teaching about construction. ugh these books look so cute, people near me need to have kids in their lives so I can have excuses for reading stuff like Construction Kitties. Oh So Tiny Bunny looks so adorable that it's almost painful.